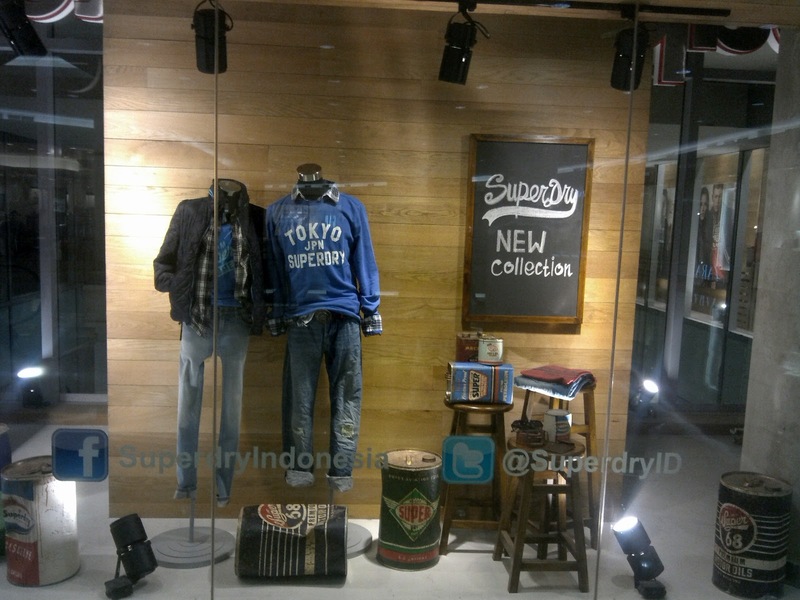 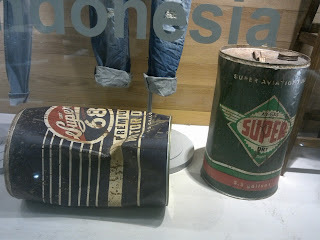 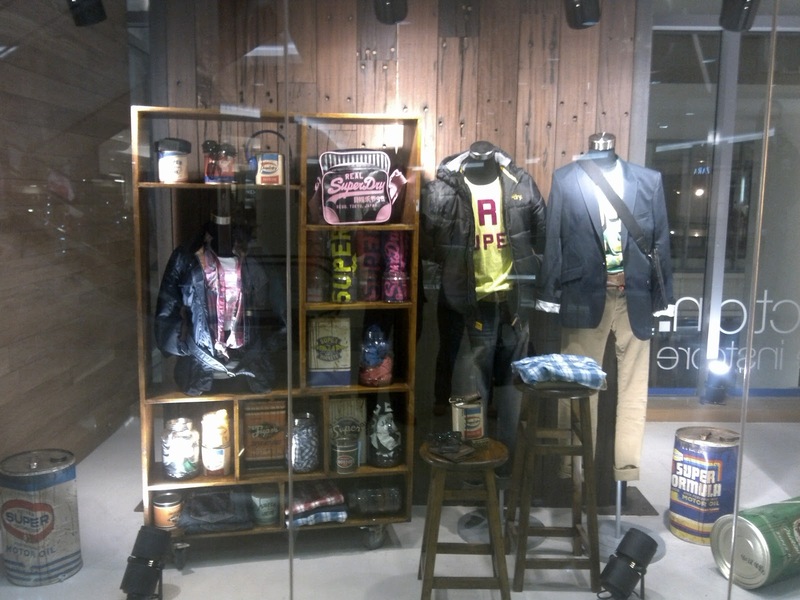 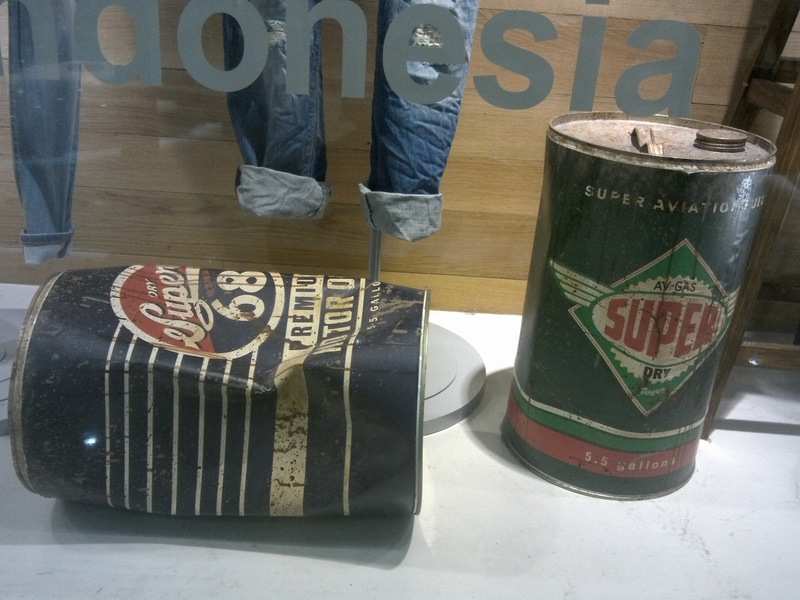 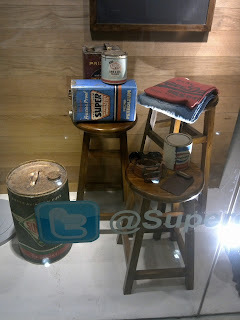 The latest window display of Superdry at Senayan City is a very confusing one. 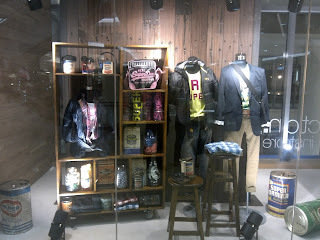 There are blackboard and other little boards, wooden chairs, and mannequins wearing a blazer or jacket or sweatshirt that might suggested a condition in a school class room or campus. 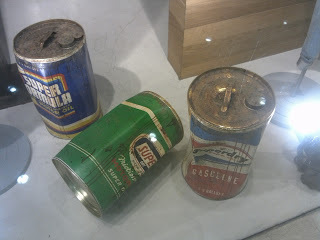 However, there are also old useless cans of lubricants or gasoline that look so dirty. Thus, is it a classroom or a room for the mechanic? 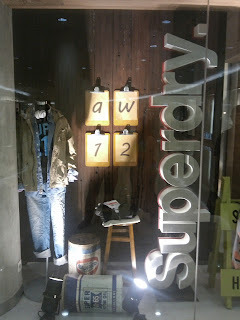 Confused.